$29.95 In stock. Order in the next 9 hours, 22 minutes and it will go out today! At Vanishing Inc. Magic, we love Etienne Pradier because he represents what the brand represents: a true working professional doing amazing, unique magic. Etienne Pradier's new DVD consists of 14 close-up effects. included for the first time are his famous Pablo Aces, crazy card tricks, a commercial rope routine, unbelievable disappearing coins, and a sensational effect using a spectator's watch! 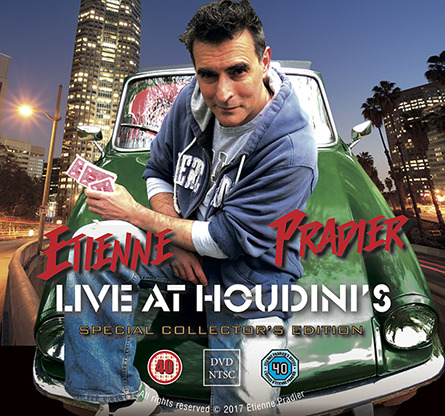 The varied mix of tricks were filmed live at the Houdini bar, Broadstairs, Kent, and are followed by a detailed explanation in the studio.